When a small business does not have the funds to invest in a scanner, fax, and copier, they can turn to a superior multifunction wireless printer for assistance. All-in-one printers also supply business with an opportunity to reduce the cost of energy bills. Unlike using multiple printers, all-in-one printers are much easier to maintain and purchase. Space-saving issues are common for a lot of small business, as well as home-based offices. Rather than invest in a flatbed scanner, fax, and copiers, multifunction wireless printers save plenty of space with an all in one printer. Whenever individuals have the ability to integrate several functions in one device it implies a higher level of convenience in terms of less space utilized, lower costs, and fewer challenges experienced during set up and consequent use. An all-in-one multifunction printer consolidates all the most important office features into one box so that people can better manage all their document activity in a single area. You could spend thousands on one dedicated printer or you can invest in a high-quality multifunction one that will only cost you a couple hundred dollars for a reliable machine. Having one machine makes it easier for users to maintain. 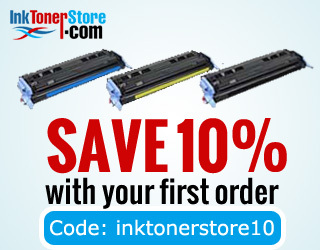 Tasks such as downloading driver updates and buying “consumables” such as ink or toner, paper, and other components also become generally easier. Buying a multifunction laser printer is a great idea when a business needs to handle an increased amount of larger volume jobs. You can print from other devices such as a phone, a tablet, or even a camera that has built-in Wi-Fi. This capability makes wireless printers the ultimate choice for most people. With so many multifunction wireless printers being released into the market almost daily, multifunction wireless printers are easily accessible. Furthermore, it all boils down to one’s preference and budget when the selection process comes. Unlike multiple printers, using just one wireless one will save funds spent on energy bills. Most wireless printers today come with eco-mode printing, as well as power saving modes with the aim of helping to cut down costs significantly. All-in-one printers have come a long way which has resulted in enhanced features and specifications. This means better performance and a more superior user experience. Like most technological gadgets, multifunction wireless printers can also be purchases efficiently and effortlessly online. E-commerce stores have a lot of deals and discounts in a bid to attract consumers. The rapid advancements in tech have led to increased development of various devices. Most manufacturers are providing customers with apps and software that makes these printers compatible with an array of devices such as digital cameras. Wireless printers work just like wired printers but rather than use cables, the printer connects to the device through Wi-Fi. When a printer is wireless, it saves the user from the hassle of setting it up and it also makes a workstation much neater and organized as there no endless wires lying around. Since users do not have to deal with pesky wires for connectivity anymore, multifunctional printers are much easier to set up compared to the more traditional ones. When setting up, these printers do not have to be placed directly next to the device as they can be placed anywhere out of the way without any issues. During set up, the only thing that one requires is a router. The only thing that might make the connection process slightly difficult is the user’s lack of familiarity with the product. Multifunction printers are designed to last for years and years. However, should you need to replace them, models can be accessed and replaced on the same day with ease. If yours should need a replacement part for repair, popular models can also be found and replaced without any challenges. Because all-in-one printers have digital printing capabilities that let you print documents and pictures from a tablet or phone, it also means that individuals can print their essential when on the move. Aside from the computer, laptops and tablets, as well as any other supported devices can connect easily to a multifunction wireless printer. While every gadget definitely has its own pros and cons, multifunction wireless printers have more benefits that outweigh the disadvantages, as such, this means that all-purpose printers offer customers the best value for their money. Network printers are a much better alternative for businesses and large companies because they are the perfect printers for many users that need to share the same gadget. Since wireless multifunction printers are more advanced nowadays, you can expect them to work exceptionally with great printing speed.